Kiroyera: Tanzania Lake Victoria region. Specialize in Rubondo National Park on Lake Victoria. Fortes Safaris: Tanzania-wide safari specialists with offices in Mwanza, Dar es Salaam & Arusha. Africa Travel Resource: www.africatravelresource.com. Arusha based higher end safari operator. Duma Explorer: www.dumaexplorer.com, Arusha based company offering northern Tanzania safaris and Kilimanjaro and Meru treks. Julia Africa Safaris: A Tanzanian boutique safari specialist offering both cultural and wildlife safaris to all national parks and game reserves around Tanzania, Mt Kilimanjaro and Excursion to the Spice Islands of Zanzibar, Pemba and Unguja. Roy Safaris: www.roysafaris.com Budget to mid-range Tanzanian safaris from this family operator. Hoopoe Safaris: www.hoopoe.com Good value luxury safaris with an emphasis on individualized itineraries. Nature Beauties: www.naturebeauties.com Northern circuit safaris for Tanzania, and Tanzania/Kenya combinations. 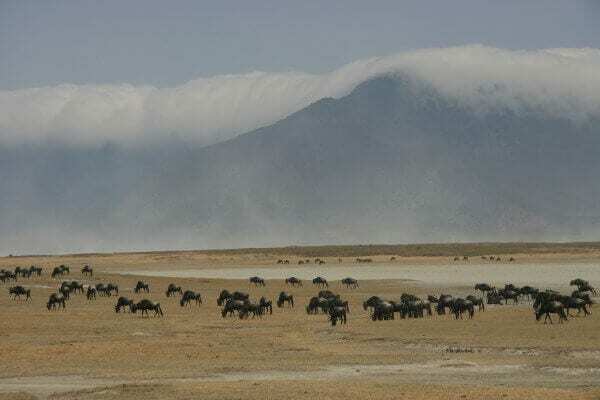 Have a recommendation for a good safari tour operator in Tanzania? Let us know. View safari companies in other Africa countries or read reviews of national parks in Tanzania.